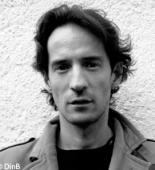 A French composer born July 29, 1975 in Châtenay-Malabry. A saxophonist by training, Sebastian Rivas evolved within the domains of jazz, rock and improvisation before turning towards the piano and composition. After his university studies in Buenos Aires, he completed his apprenticeship with Sergio Ortega (Pantin Conservatory) and Ivan Fedele (Strasburg Conservatory). He also followed the courses and masterclasses of the Centre Acanthes, Royaumont as well as the computer composition course of Ircam (2004). 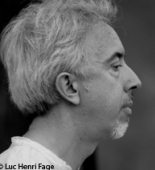 A French composer born October 12, 1958. A pianist by training, Michel Pascal studied at both the Conservatory and the University of Aix-en-Provence, at the Marseilles Conservatory and at the Paris Conservatory in the class of Guy Reibel. 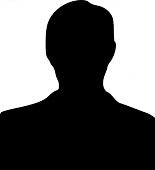 The founder of the Studio Instrumental, he has sought to develop, with new technologies and electronics, the unexplored relations between gesture and sound. He has collaborated with artistes from various horizons, practising both notated music and improvisation (Armand Angster, Joëlle Léandre, Alex Grillo…). 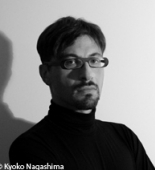 An Italian composer and organist born May 5, 1973 in Pise. Francesco Filidei studied the organ and composition at the Florence Conservatory before taking advanced classes in Zurich with Salvatore Sciarrino, Sylvano Bussotti and Jean Guillou. At the Paris Conservatory (1999-2005) he was a pupil of Marco Stroppa, Frédéric Durieux and Michaël Levinas. He completed his training at Ircam (composition course) and at Royaumont (Voix Nouvelles). A French composer born September 9, 1977 in Bagnolet. Largely autodidact, Jonathan Pontier trained at the ENM of Montreuil then at the Paris Conservatory, where he obtained a prize for composition and new technologies. 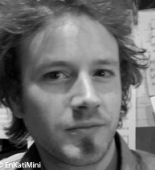 A French composer born May 2, 1975 in Lyons. 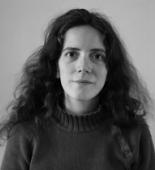 A pupil of Robert Pascal and of Denis Lorrain, Raphaèle Biston obtained a degree in 2007 from the Lyons Conservatory. 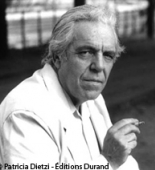 A French composer born April 8, 1928 in Paris, who died December 11, 2005. A choirmaster when already a teenager, François Vercken composed choral music as an autodidact. At the age of 27 he entered the Schola Cantorum, studying counterpoint with Daniel-Lesur, harmony and composition with Serge Nigg. Passionately fond of jazz, which reverberates throughout his brass quintet Marina de Talaris (1969), he has shown great curiosity with regard to composers of the Renaissance (Fanfares en mémoire de Claude Lejeune, 1982) and such classical composers as Joseph Haydn or his contemporaries Maurice Ohana, Henri Dutilleux and Guy Reibel. An English composer born January 2, 1905 in London, who died January 8, 1998 in London. 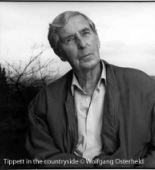 A pianist by training, Michael Tippett studied at the Royal College of Music in London (1923-1928), where he was the pupil of, notably, Charles Wood and C.H. Kitson for composition. Dissatisfied with his earliest works, he destroyed them and then took advanced classes in counterpoint with R.O. Morris, as well as in fugue and orchestration. A French composer born May 30, 1925 in Fleury-sur-Andelle, who died February 14, 1998. A pianist and organist by training, Claude Prey studied harmony and composition at the Paris Conservatory in the classes of Olivier Messiaen and Darius Milhaud. At the same time he won a degree in letters as well as a higher diploma in aesthetics at the Sorbonne, before embarking on a series of journeys that led him to discover the tales and folk music of the Amerindians of South America and also the French folklore of Canada. A Polish composer and conductor born November 23, 1933 in Debica. 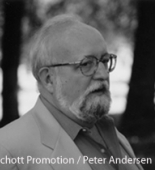 A violinist and pianist by training, Krzysztof Penderecki studied composition at the Krakow Music Academy (1954-1958) notably with Artur Malawski and Stanislaw Wiechowicz. He rapidly acquired international fame with his first works in the serial vein (Strophen, 1959 ; Anaklasis, 1960).